Shopping for Disney Princesses Wallets? 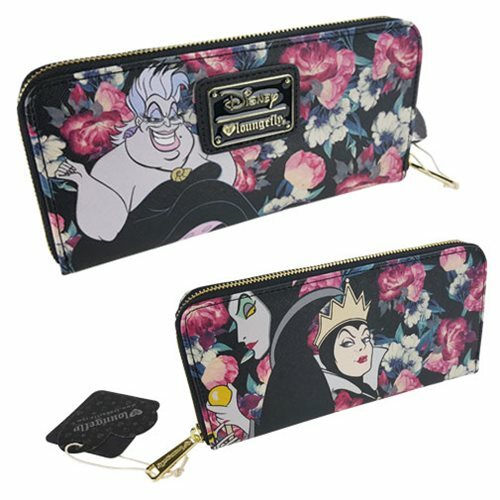 Show off your sinister side in style with this Disney Villains Floral Zip Around Wallet. Featuring a print of flowers and Ursula, the villain from The Little Mermaid, this wallet will make it clear that you mean business. It is made of Saffiano faux leather has a zip around design. It measures 8-inches wide x 4-inches tall.